Farkas joined Starfleet in 2332, rising quickly through the ranks to receive her first command in 2341. She went on to command four other starships before she assumed command of the Quirinal in late 2379. She was a seasoned officer and a capable diplomat. One of her best friends was Doctor El'nor Sal - their friendship having developed after serving together on four different starships. 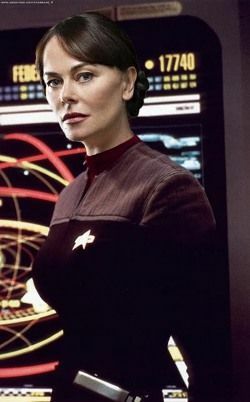 When Farkas took command of the Quirinal, she persuaded Sal to join her crew as chief medical officer rather than retire from Starfleet. At some point early in her career, Farkas enjoyed an "indecent" liaison in a starship's ready room. El'nor Sal seemed privy to this rather personal information.